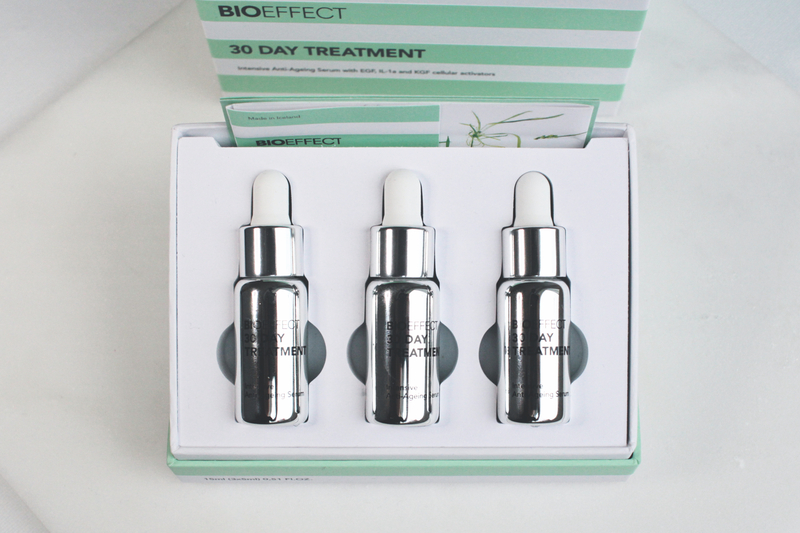 Developed to slow down the ageing process, BIOEFFECT is changing the skincare industry. Discovered in 1986 by two scientists, who were later awarded the Nobel Prize, EGF or epidermal growth factors, are signal molecules that communicate with cells, sending a message to repair, rejuvenate, or proliferate. As we age, production slows down, which results in visible aging in our skin and bodies. With this knowledge, BIOEFFECT created a barley-based EGF in its products. With each EGF application, it stimulates your body’s own skin cells to proliferate, increasing skin turnover and radiance while slowing the aging process -- the result is healthier, denser, more hydrated, younger-looking skin. A cult favorite, this serum contains the famous EGF that is proven to improve your skin. It boosts production of collagen and elastin, and increases tone and elasticity. It also boosts the skin’s capacity to store water and reduce water loss. Give your skin a double boost of anti-ageing power with this daily treatment. Step 1 contains EGF and hyaluronic acid to plump up skin and fight fine lines simultaneously, while step 2 protects your skin from pollutants in the environment that are known to cause aging. Packed with anti-ageing properties, this serum is formulated to improve the delicate skin around your eye, including fine lines, and pigmentation. With daily use, your skin will become tighter, brighter and more awake. Packed full of nourishing ingredients expertly combined to work on your skin all day every day, this daily cream contains EGF and with continued use, you'll see your skin look smoother and brighter. It makes for an excellent primer for your make up as it leaves the skin’s texture smooth and ready for foundation.